Life on Earth is everywhere. Besides the obvious larger scale flora and fauna we see everyday, Earth hosts a pervasive and persistent entourage of microorganisms that survive almost anywhere, whether in the deep ocean, beneath thousands of feet of ice, in hot springs and hypersaline pools, even in rock drilled from deep beneath the surface. Such extremophiles give hope to those seeking evidence of life elsewhere in the solar system. The living portion of Earth that inhabits the air, water and land is collectively known as the biosphere. Without the biosphere, Earth would be a very different planet. The biosphere is responsible for maintaining an oxygen rich atmosphere, as well as producing and consuming carbon dioxide that helps to regulate global temperature. 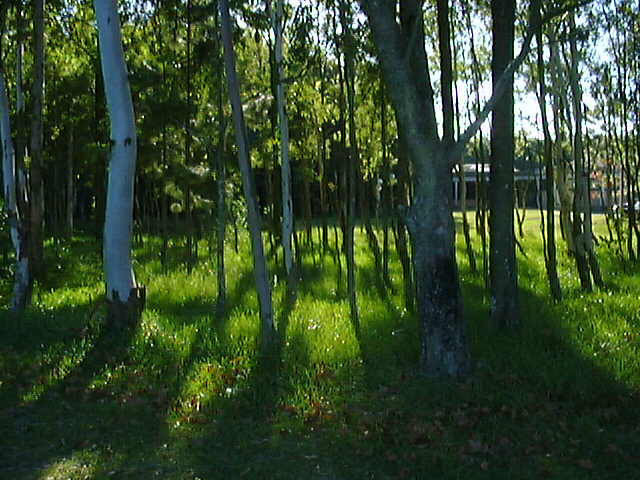 The biosphere in the form of green plants mediates the hydrologic cycle through evapotranspiration, a process which modifies and moderates regional climate. The biosphere also modifies the solid Earth through soil formation, and has created and concentrated hydrocarbon compounds now found as oil and coal. The earliest evidence of life on Earth is found as fossilized microorganisms resembling cyanobacteria in 3.5 billion year old rock. Over 2 billion years later the first multicelled organisms appeared, resembling algae, and the first multicelled animals related to modern species appeared only 550 million years ago. This early biosphere initiated the process for maintaining the oxygen rich atmosphere we experience today, and also provided the free oxygen required to sustain the production of ozone in the stratosphere, protecting fragile organisms from destructive solar ultraviolet light. Carbon is the fundamental building block upon which all life is based. Life prospers in the Earth system based upon the availability of carbon (as well as hydrogen, oxygen, nitrogen, sulfur, phosphorus, and lesser amounts of trace elements). The biosphere is largely responsible for the movement of carbon through the Earth system. Marine organisms process carbon into carbonate shells and skeletons, which settle to the bottom of the ocean forming carbonate sediments, effectively removing the carbon from the system.